Improving your child’s speech and language communication is our ultimate goal and it all starts with providing individual therapy services each week. This type of therapy is a vital element of your child’s weekly program and allows your child maximum opportunity to work on his/her communication goals. More importantly, it provides parents all the tools and essentials necessary for carrying out the skills learned in therapy each week. 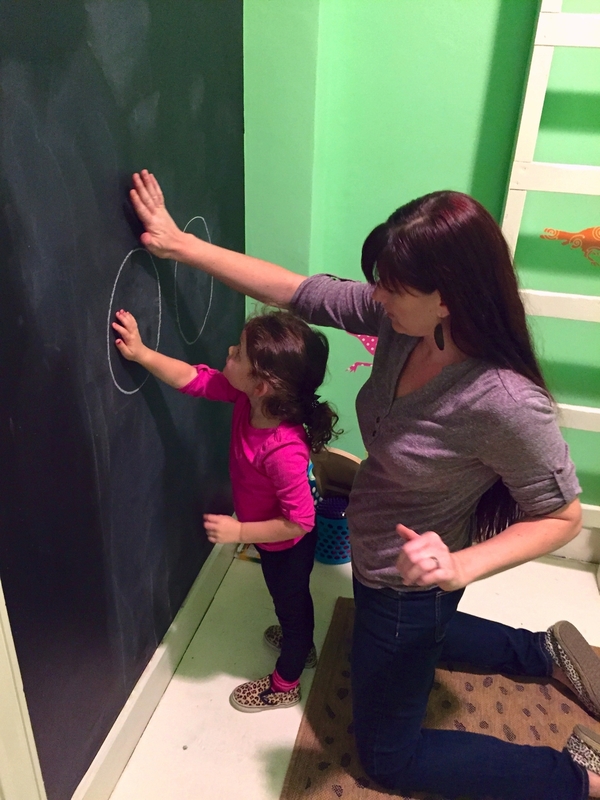 Each of our therapy sessions is also dedicated to speaking with parents and demonstrating specific strategies that are crucial to each child’s progress. Parents will be provided an opportunity to sit in on each session with their child or to observe through a two-way mirror and listen in on their child’s session through a speaker system. In either case, we encourage parent involvement in order to ensure steady progress and success. Children must be between 2 ½ and 5 years old in order to be put onto the waitlist. Children must be fully immunized according to age and doctor. Once your child enters Kindergarten, he or she is no longer eligible to receive our private speech and language services. Children receiving speech and language therapy from more than one source (speech therapist, private therapist, special day class) will not be eligible for our program. While we do not take on clients who are receiving multiple services at the time of enrollment, we highly encourage you to seek other services for your child while he or she is on the waitlist. If you are interested in enrolling your child for therapy at our center, please call our office and complete a brief intake interview with one of our staff members. One of our therapists will give you a call to schedule a screening within the month. This screening will determine your child’s priority level on our waiting list. If your child is currently receiving weekly speech and language therapy services through their school or another state agency/program, a copy of their current records, IEP and most recent evaluation will be requested by our center. After a thorough review of the specific records by one of our staff therapists, parents will be contacted to discuss and determine the next step in the screening and evaluation process for your child. We will also work closely with your child’s school or agency therapist in order to provide a well-rounded therapy program. Once your child is placed on our screening waitlist, we will contact you within about a month’s time in order to set an appointment at the Language Center. 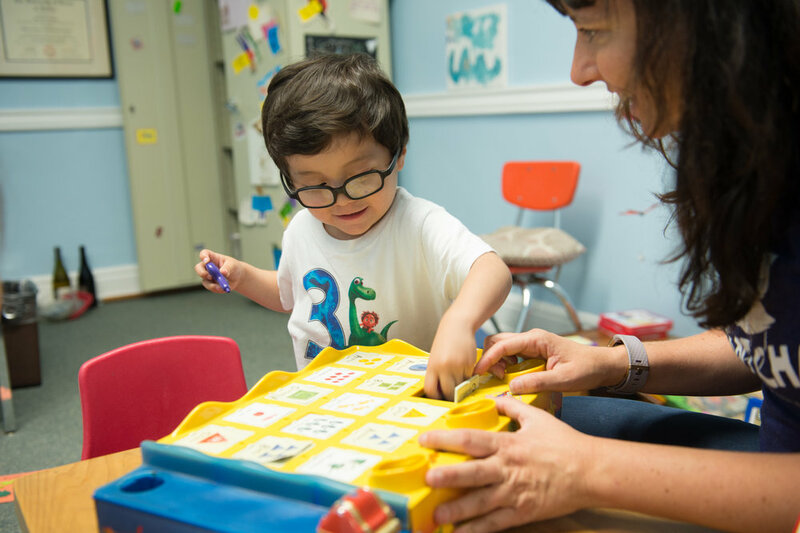 This evaluation appointment will take place with one of our licensed Speech-Language Pathologists and determine his or her place on our waitlist based on need. A thorough assessment of your child’s current speech and language skills will be completed in order to determine his/her current levels of communicative abilities. Background information, medical history, educational services, parent interviews, and testing will be conducted in order to identify the specific needs of your child. 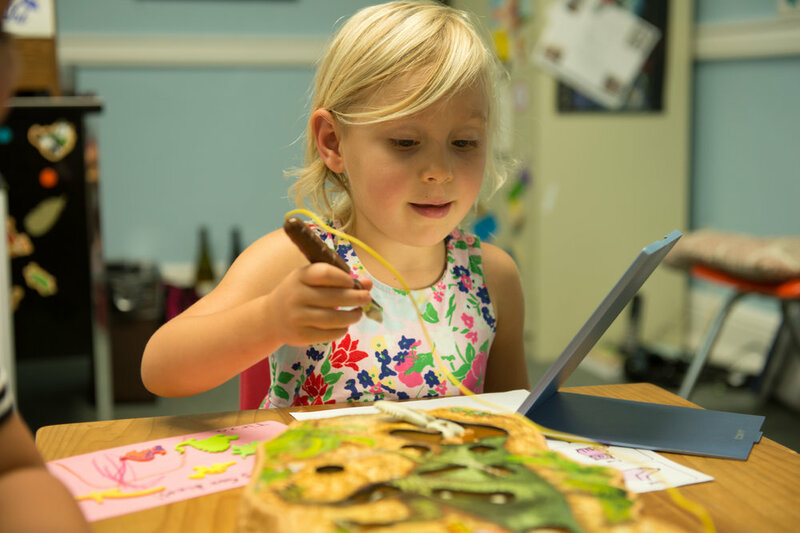 This process serves a dual purpose in determining not only if your child requires treatment but more importantly, it guides the therapist in determining the specific goals and course of your child’s therapy. Our clinicians are dedicated to providing a highly individualized therapy program to each child at our center.